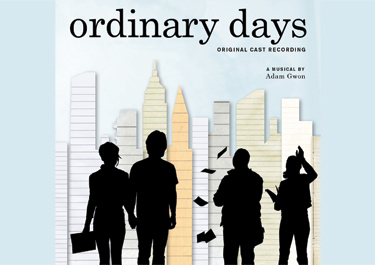 R&H Theatricals, has acquired the performance rights to Adam Gwons musical ORDINARY DAYS, and will begin accepting applications for professional productions starting Tuesday, September 21. On the same day, Ghostlight Records will release the Original Cast Album CD of ORDINARY DAYS. Gwon has been hailed as a promising newcomer to our talent-hungry musical theater by the New York Times, and his musical ORDINARY DAYS has already received productions Off-Broadway (by the Roundabout Theater Company in late 2009), in London (Finborough Theatre, 2008) and regional theaters (Adirondack Theatre Festival, June 2009; South Coast Repertory, January 2010; Human Race Theatre Company, Dayton, Summer 2010). 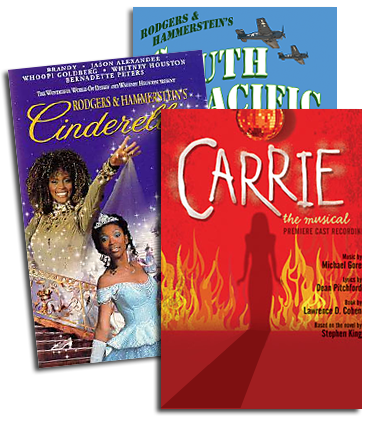 "I heard about ORDINARY DAYS from some of my colleagues," says Ted Chapin, President of Rodgers & Hammerstein, "and when I saw it at Roundabout Underground, I understood why people had been raving about it. I became an instant fan and decided it was just the kind of show that R&H Theatricals should have. It's so honestly about young people in New York today, and I found it smart and knowing. The recording is a wonderful representation of the show, and I know people who weren't lucky enough to see it at Roundabout will fall for it." ORDINARY DAYS is an original musical with a contemporary sound about making real connections in the city that never sleeps (but probably should at some point.) ORDINARY DAYS tells the story of four young New Yorkers whose lives intersect as they search for fulfillment, happiness, love — and cabs. Through a score of vibrant and memorable songs, the musical captures with stinging clarity that uneasy moment in youth when doubts begin to cloud hopes for a future of unlimited possibility (New York Times). The Original Cast Recording of ORDINARY DAYS features Off-Broadway cast members Lisa Brescia, Hunter Foster, Jared Gertner and Kate Wetherhead, with Vadim Feichtner on piano. The album is produced by Scott Lehrer and Kurt Deutsch. Album Executive Producer is Ted Chapin. For more information on the album, visit www.ghostlightrecords.com.